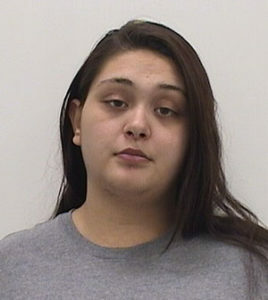 The mother of the two-year-old girl who was found outside in the rain in Galt last week is now charged in the incident. The Wright County Sheriff’s Department announced today that 24-year-old Ysable Ceplecha is charged with neglect or abandonment of a dependent person. At the time she was found, the child was wearing only pajamas and no shoes. With the help from the public, the child was quickly identified and deputies made contact with Ceplecha. The Wright County Sheriff’s office also took Celplecha’s one year old child into protective custody. The two children were placed in the custody in the care of the Iowa Department of Human Services. Ceplecha is being held in the Wright County Jail in Clarion on a cash bond of $10,000.